1. The Bill for the Passage over Severn at Awste. L. 3. The Bill for false Gads of Iron made Steel. - Jud'm. 3. 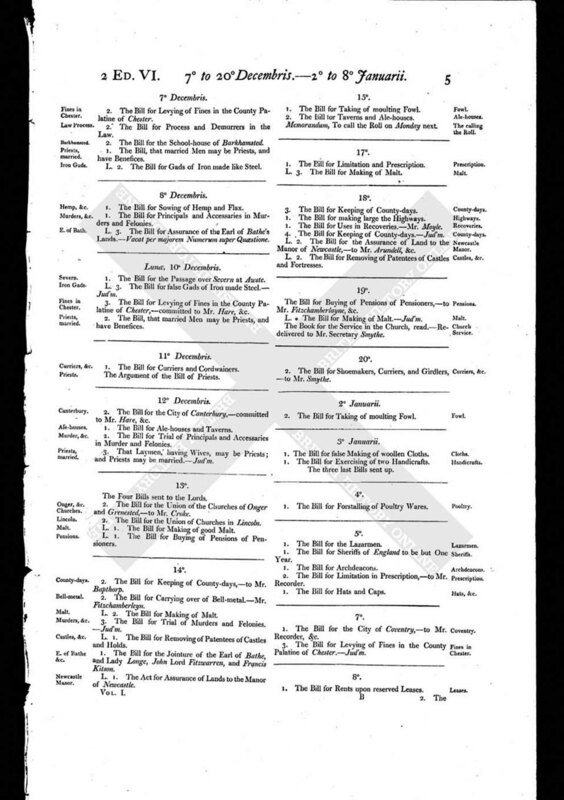 The Bill for Levying of Fines in the County Palatine of Chester,- - committed to Mr. Hare, &c.
2. The Bill, that married Men may be Priests, and have Benefices.